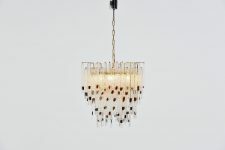 Very nice large and impressive chandelier designed by Paolo Venini and manufactured by Venini Murano, Italy 1960. 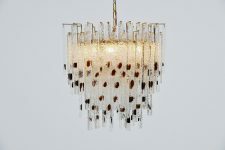 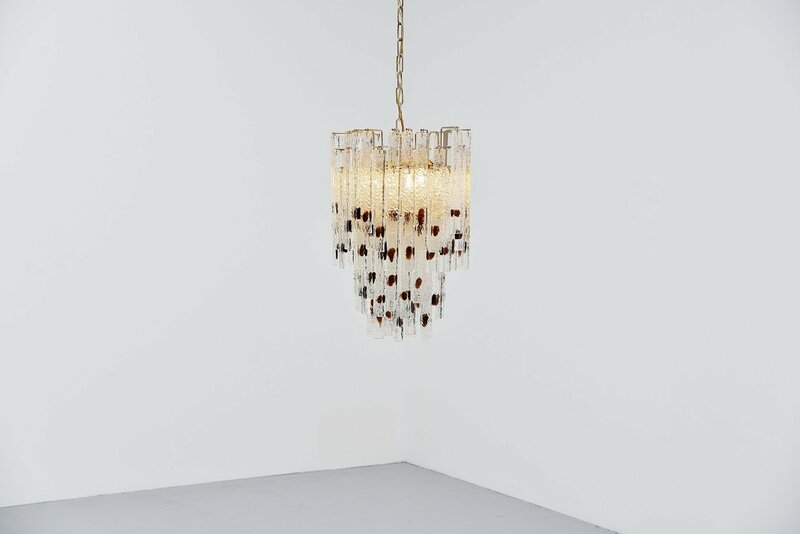 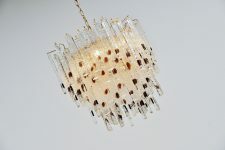 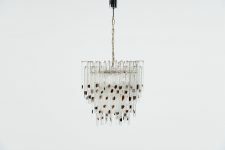 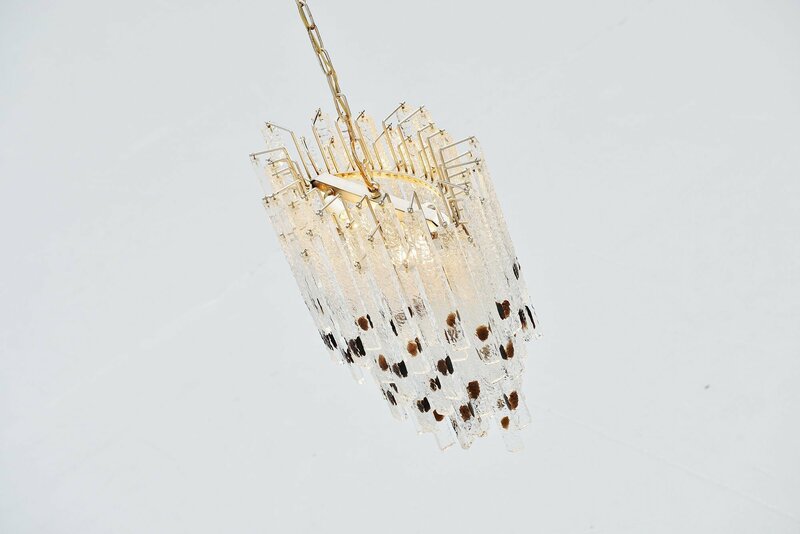 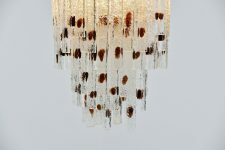 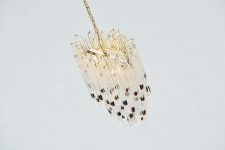 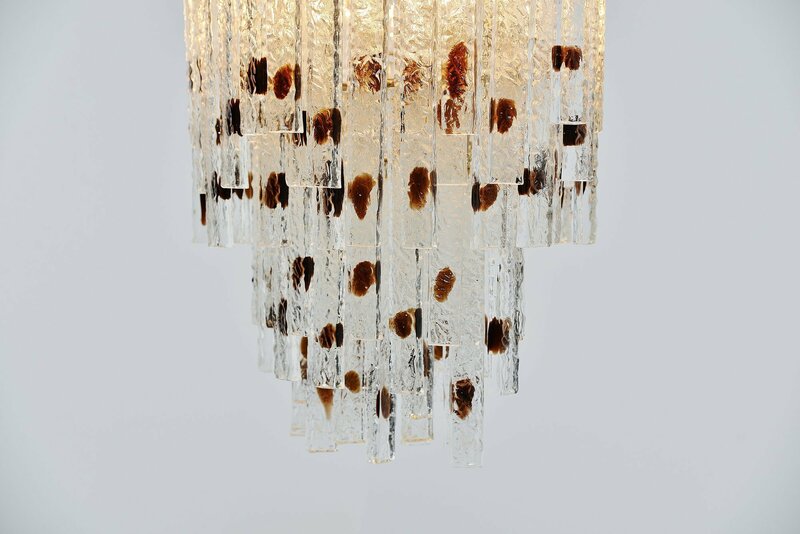 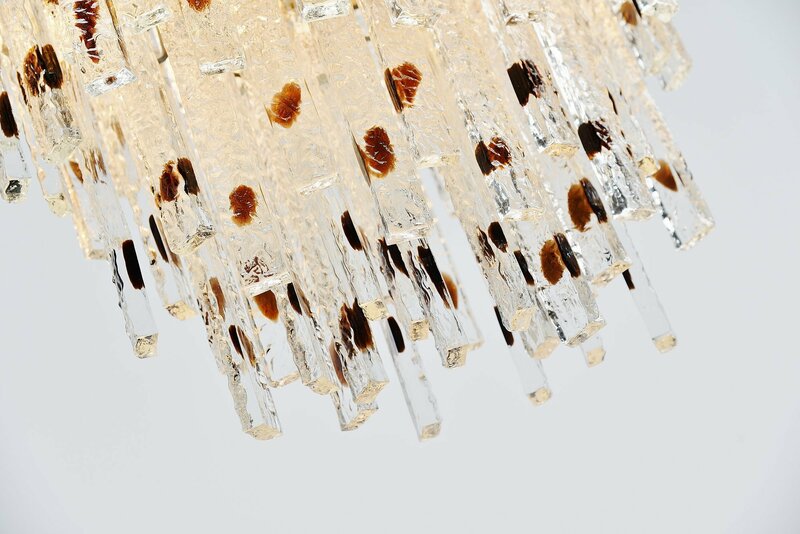 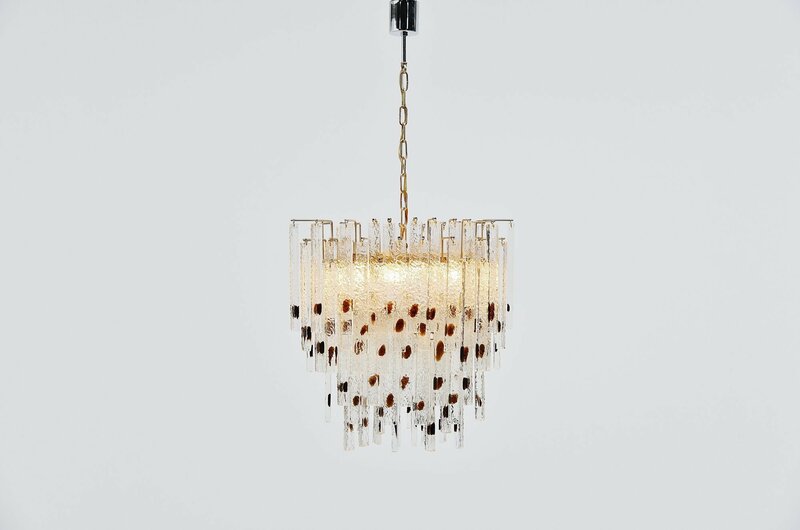 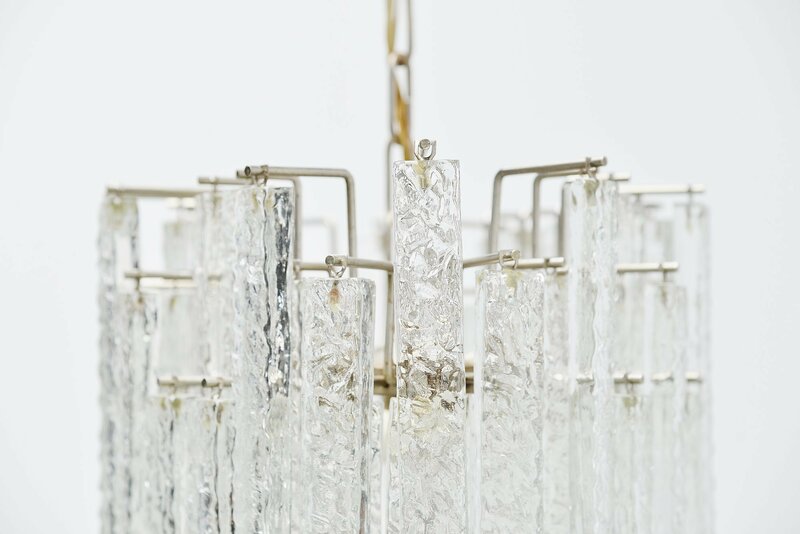 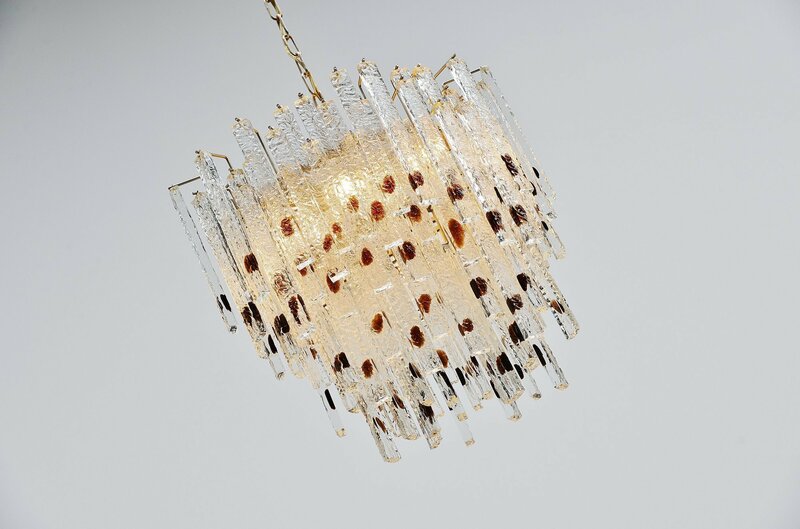 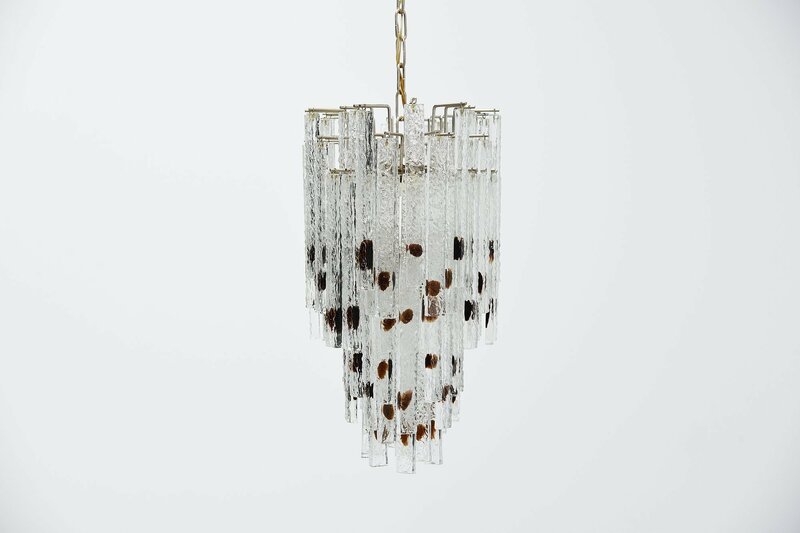 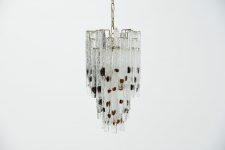 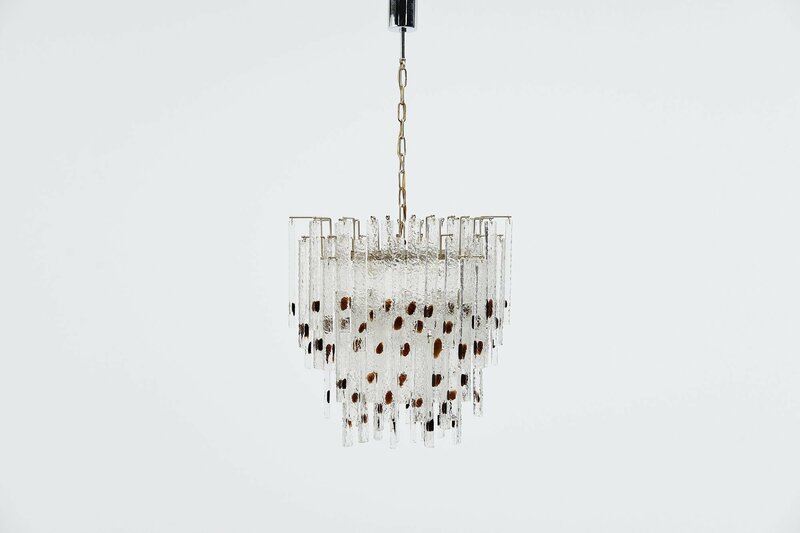 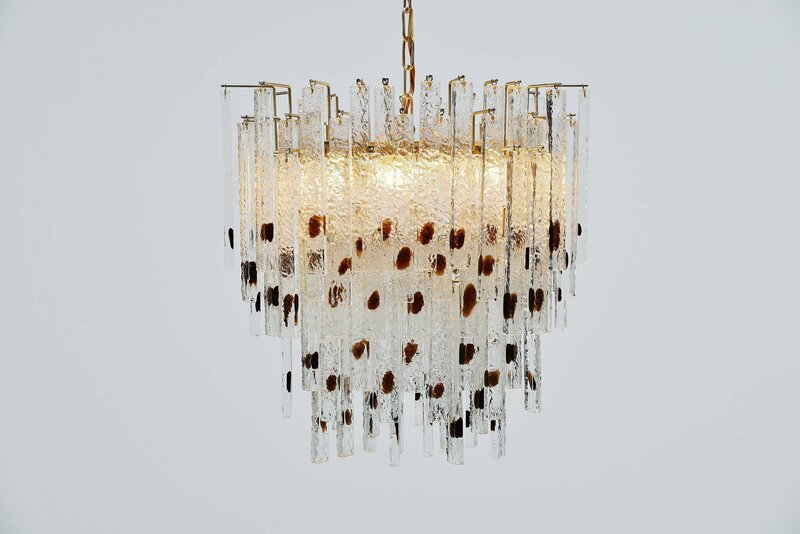 This chandelier has 95 waterfall looking glass pegs which give a great diffused light effect when lit, transparent glass with brown dots inside. 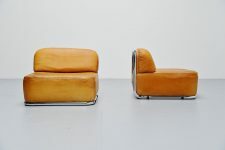 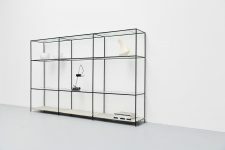 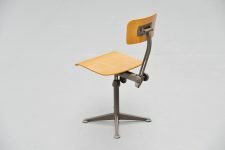 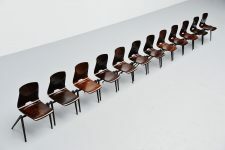 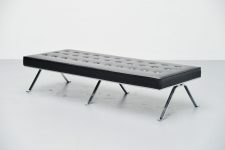 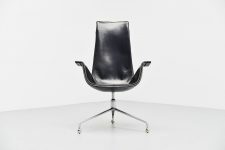 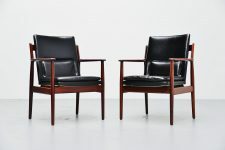 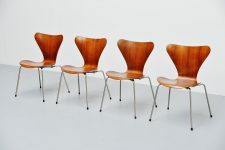 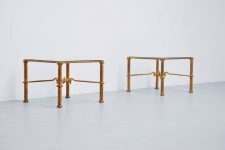 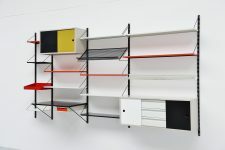 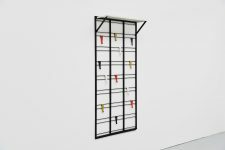 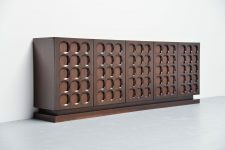 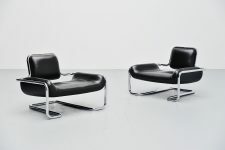 The frame is made of nickel plated metal and is in good condition with minor wear from age. 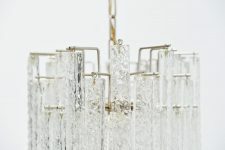 The pegs are in good condition, some of them have a crack in the upper part where the connection part is attached but this is not visible because other pegs are in front of that. 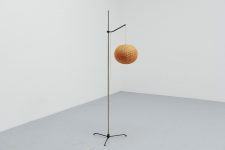 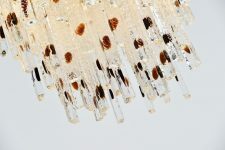 This chandelier uses 4x E14 bulbs up to 40 watt each.